Dennis Ross gets a greater say in the nation’s financial policy, now that the Lakeland Republican is on several high-profile congressional subcommittees, including some that address issues in banking and consumer credit. Ross, who serves Central Florida’s 15th Congressional District, announced Friday he has been tapped for subcommittees of both the House Committees of Financial Services and Oversight and Government Reform – both known as “A” list committees. In a statement, the Senior Deputy Whip said he will also serve as vice chair of the FSC Subcommittee on Housing and Insurance, the Subcommittees on Financial Institutions and Consumer Credit and Oversight and Investigations. 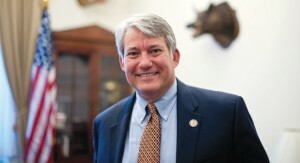 Ross also has been chosen for the OGR Subcommittees on the Interior, Energy and Environment and Government Operations. Financial Institutions and Consumer Credit oversees financial regulators, such as the Federal Reserve and the Federal Deposit Insurance Corporation. It also manages a range of issues: consumer credit, the Consumer Credit Protection Act, access to financial services, and the safety and reliability of the country’s banking system. During his time on Housing and Insurance, a subcommittee he served for the past four years, Ross spearheaded several measures to boost the housing and insurance market, such as the Flood Insurance Market Parity and Modernization Act and the Private Investment in Housing Act. “District 15 is blessed with a strong agricultural presence and issues related to our public lands, and the EPA greatly affects the cattlemen, citrus growers and other specialty crop producers I am proud to represent,” Ross said. On the Government Operations subcommittee, Ross will have influence over the Department of Treasury, the Executive Office of the President, the Postal Service, the Department of Labor and the Office of Management and Budget.